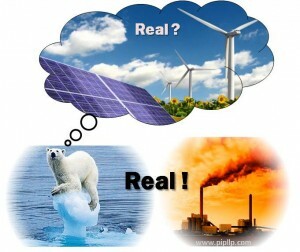 Renewables are widely seen as the ‘how’. But, unfortunately, the reality doesn’t live up to the hype. In particular, the lack of an efficient storage medium means that renewable sources such as solar and wind power are erratic and, therefore, unreliable. But, for renewable sources to be viable, power generation needs to match consumption. You only have to look at Germany to see what happens when it doesn’t. In its drive to generate 80% of its electricity from renewables by 2050, Germany has actually increased its carbon emissions – up 1.8% last year. That’s because it has had to build several new heavy oil and coal-fired power plants to combat the unreliability of solar and wind power – and lack of sufficient storage – as well as compensate for taking eight of its 17 nuclear reactors offline. The other nine will be phased out by 2022. CCS offers a short to mid-term solution but it’s like sweeping under the carpet; pumping captured CO2 underground requires high pressure. It’s been done successfully offshore but, if carried out onshore it may arouse the same public distrust as fracking. A more practical solution could be carbon capture and utilisation – in other words using CO2 as a feed for biofuels or converting CO2 back into fuel by reduction reaction and the Fisher-Tropsch process. Governments around the world have committed to limiting the warming of the planet to no more than 2°C, above the pre-industrial level. But, given the growing population and increasing demand for energy, it is unlikely that concerns about climate change will reduce our dependence on fossil fuel for the foreseeable future. So, what does all this mean for the oil and gas industry? While research and development for an economic, clean and sustainable energy source is ongoing, fossil fuels still have an important role to play as the bridge to a low carbon emission future. It is therefore important for refineries and petrochemical plants to be energy-efficient. As a consultant to the energy industry, Palmer International understands that this is not as easy as it sounds. Refineries currently use around 8% of the crude oil they process as fuel. The net reduction in CO2 emissions that they can contribute through energy conservation measures is 1-2% of total crude processed. However, our experience has shown that while improvements to energy efficiency with little or no investment are possible by adopting best practice in energy management and enhancing housekeeping, substantial improvements generally require major investment. Refineries can find this hard to justify as it can take up to ten years to see a return. That is why we look to combine energy efficiencies with profit improvement projects. In this way Palmer International has helped refineries around the world to mitigate the environmental impact of their operations and remain competitive through more efficient operation, lower energy consumption and a reduced carbon footprint. While plan A for safeguarding the health of the planet for future generations is to switch from fossil fuels to renewables, there’s no obvious sign of a plan B other than to stifle economic activity. Meanwhile the only realistic approach to the CO2 reduction effort has to be offsetting the effects of burning fossil fuels by increasing the use of renewable energy storage and by being more efficient in the way we consume energy overall. In other words using less energy rather than generating more.